I spent some time in the garden yesterday, weeding and harvesting a little bit, but mostly tying up my tomato plants, which have escaped the raised bed and are trying to take over the lawn. Mosquitoes love the shade under these plants, so every time I go out there, I end up with a new handful of bites at the very least. Even so, it was totally worth it because I was happy to discover lots of fruits and veggies that were either growing large and healthy, or that were already ripe and ready for harvesting. 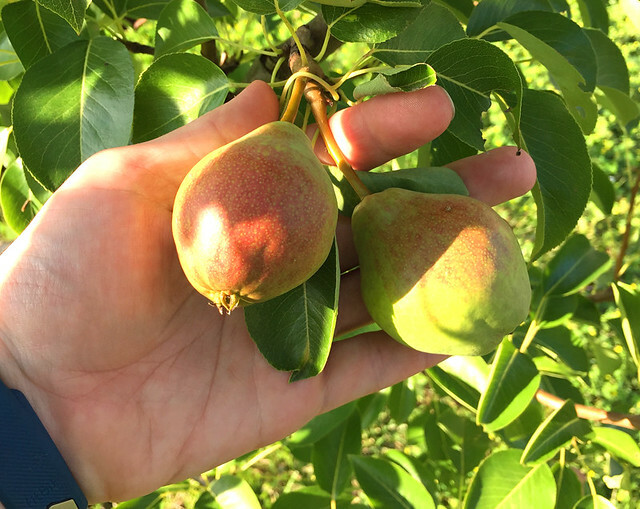 The pears are doing well, although they’re still hard as rocks and not nearly ready to harvest. My research indicates that they should be ready to be picked from August to October in this climate — and mine seem likely to be ripe later in the season. 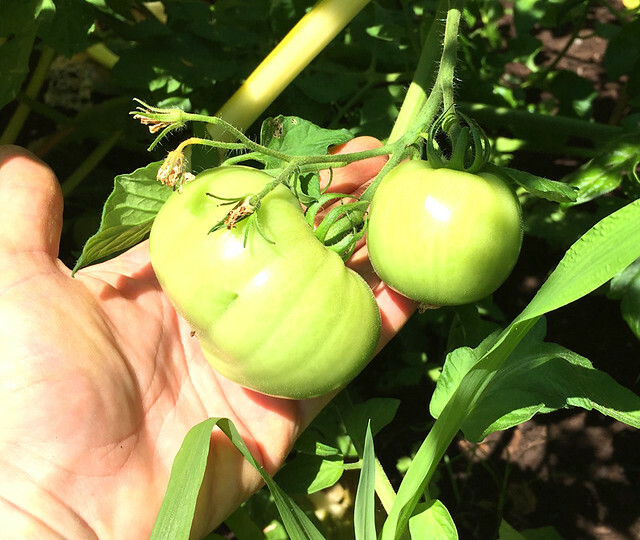 The tomatoes on the possibly-beefsteak tomato plant (the one that was supposed to be a cherry tomato plant) aren’t ripe yet, but the fruits have almost doubled in size. I have a feeling that spaghetti sauce may be in their future. 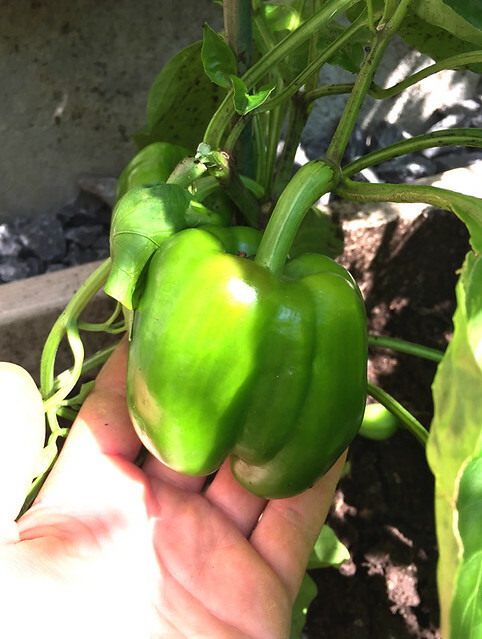 My sweet bell peppers are growing well and look like they’ll end up being pretty sizable. This variety is supposed to yield a black (really very dark purple) pepper, so these obviously aren’t ready yet. Well, that’s if they were labeled correctly; I don’t really trust the labels 100% any more. My pea vines are still yielding nicely, although with being at the cottage off and on, I ended up letting a bunch of pods dry out on the vine. Oops. That’s good for seed saving, I guess, but not what I was trying to do. Unlike their sweet cousins, my hot peppers are starting to ripen beautifully. 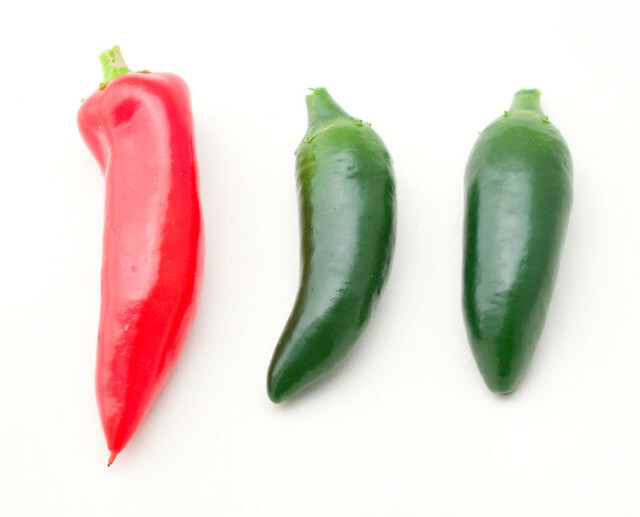 The red banana peppers and the green jalapeno peppers are destined for hot sauce once I’ve picked them all, so I wash and freeze the early-ripening ones until I can use them. Freezing peppers makes them mushy upon thawing, but that’s not really an issue when they’re just going to be blended smooth in a sauce anyway. Last but not least, my cherry tomato plants have started ripening! I believe that what’s coming up at the moment are Pink Ladies, Sweet Millions, and generic yellow cherry tomatoes. I have a personal fondness for the yellow ones, but the Pink Ladies have come up really sweet this year, and I just can’t stop snacking on them. 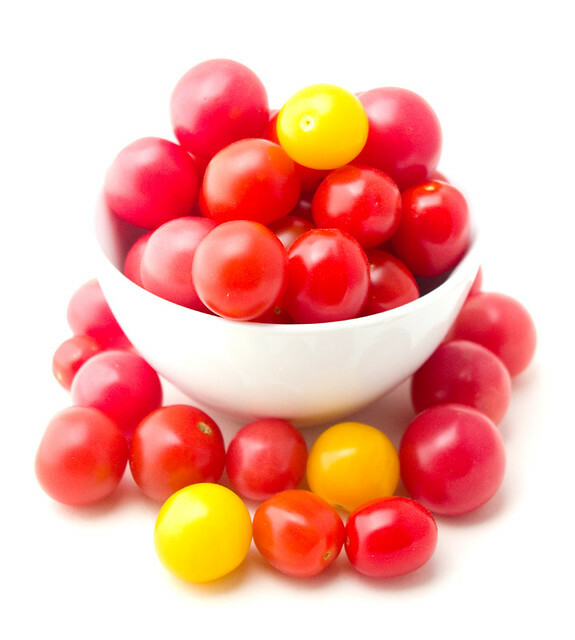 My husband, too, is a huge fan of cherry tomatoes of all varieties, and will go through a large bowl of them when vegging in the evening after the kids have finally been put to bed. 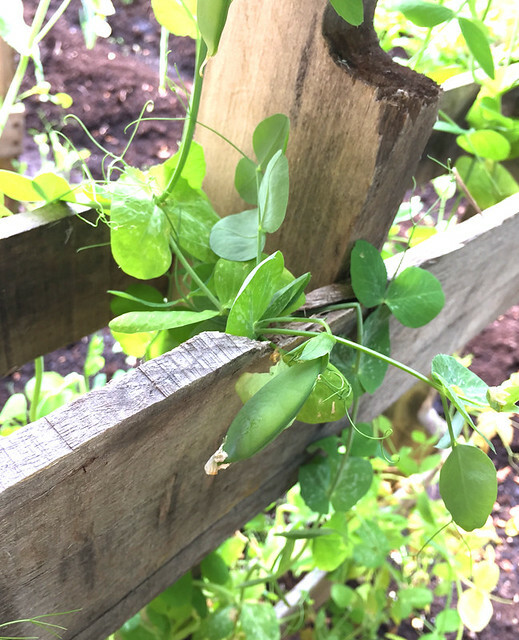 I am very pleased to be able to say that my pea vines are starting to produce pods! 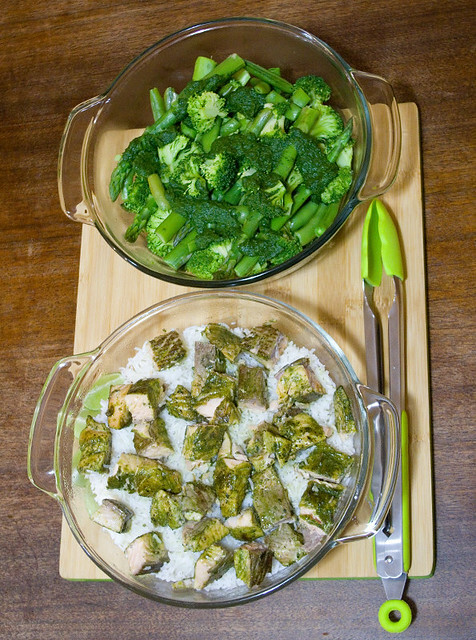 My rhubarb is usually the first plant to produce edible parts come spring, with my peas are coming in a close second. Unlike the rhubarb, though, if they’re given proper TLC, these plants will give me veggies for the entire summer. 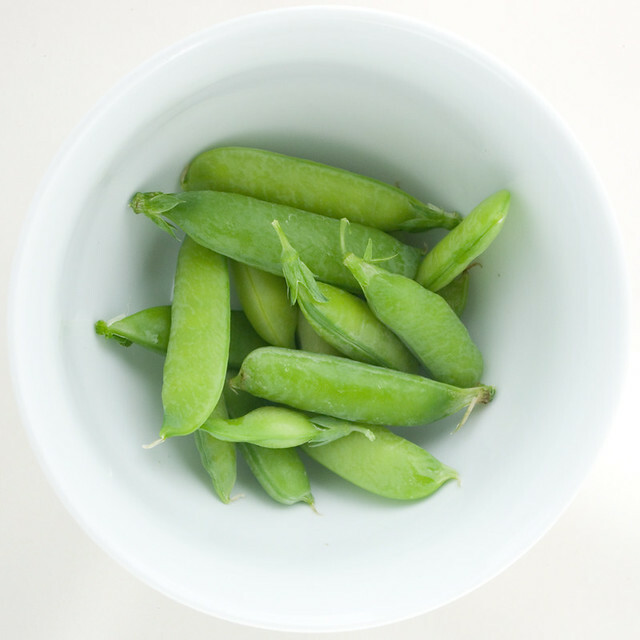 Now, I don’t grow enough of them for peas to become a major part of the diet in our house, but my kids love picking them straight off the vine and will snack on them until the vines die off. I can’t help it though, whenever I work on my pea plants, I can’t help but start humming the protest song parody by the Arrogant Worms called Carrot Juice is Murder. This was the height of humour for me as a teen, and I still know all of the words. I’m pretty sure my dad could still sing along too. I really hope that I’m not the only one whose mental soundtrack while gardening is this song. But I’ve been told I’m weird my entire life, why should it stop now?